"I have a friend who constantly uses her older sisters ID to get in to clubs - how can I help to put a stop to this? I am concerned, since I know that not properly checking IDs can lead to more serious issues." As long as there is a drinking age minors are going to do what they can to get into places where the age limit is 21 years of age or older. In other words, they want to go clubbing -basically, what your friend is doing. You can let her know that by using another person's ID she could be charged with a felony for identity theft, she can also be charged criminally for being under age in an establishment licensed for 21 years of age as well as be charged for a Minor In Posession. Let her know the consequences of her actions may even result in a server or bartender being charged criminally and sued in a civil case. Tell the older sister that she too can be charged with the same, if it is proven that she loaned her ID to her sister. If you know where she is going, let that bar know she is underage. A note for the bartenders: during your alcohol server training you learn the importance of checking valid identification so that you do not serve alcohol to a minor. In Washington State it is illegal for minors to be in a bar. 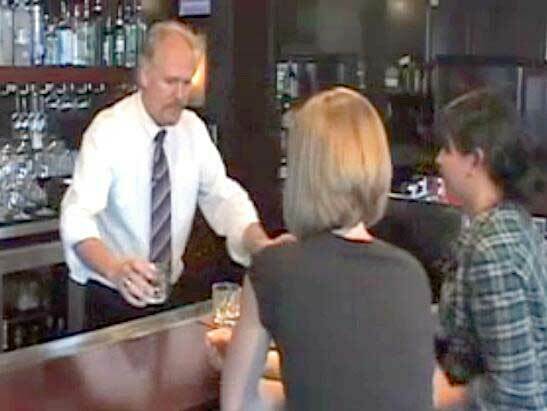 As a bartender in Washington it is your responsibility to ensure that you check the identification of everyone frequenting the establishment in which you work. Get your Washington alcohol permit online. For more information and to take your class from the comfort of your home visit www.aacea.com.